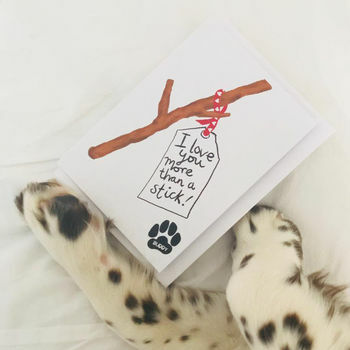 Loyal, loving and always ready to show affection - Celebrate the special bond between man and beast with our funny alternative Valentine card featuring the name of your pet in the paw print. Ideal for those who love dogs and puppies on any occasion! For dog mamma's and puppy papa's on Mothers day, Fathers day, valentines day or for a birthday or anniversary. 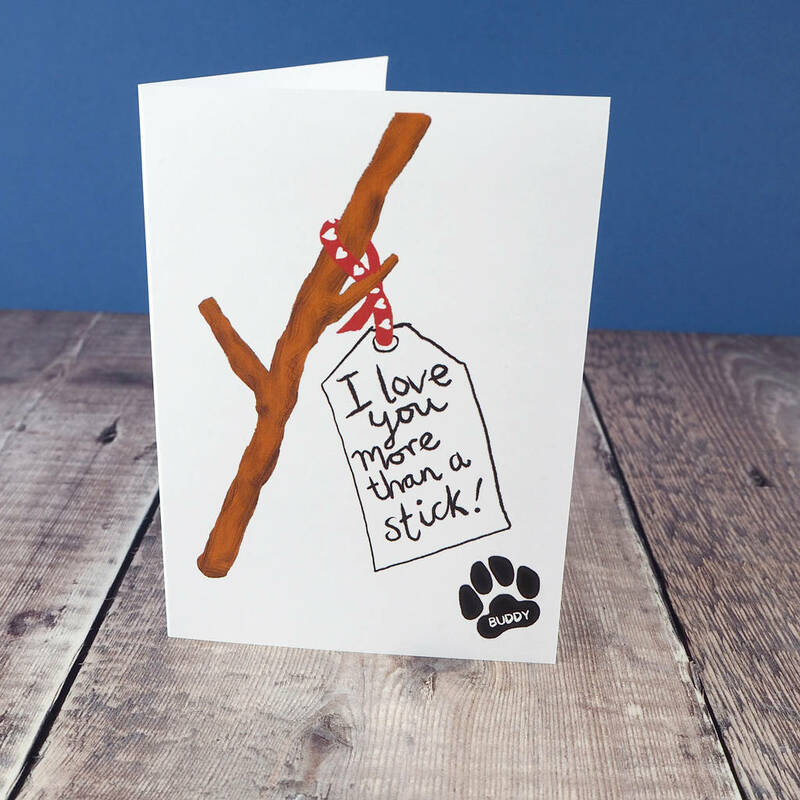 This cute and illustrative card reads "I love you more than a stick " in a charming handwritten script. Printed on 300gsm matt card, supplied with a white envelope and packed in a clear cellophane.